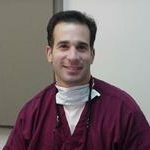 Dr. Darren Smolkin received his undergraduate degree from McGill University in Montreal, Canada. He received his DDS from McGill University and his graduate training in Endodontics (root canal therapy) from the University of Southern California in 1997. Dr. Smolkin’s goal is “to provide the highest quality of pain-free dental treatment.” Dr. Smolkin uses the latest advances in technology when performing root canal therapy, which allows treatment to be more predictable and completed in less time.